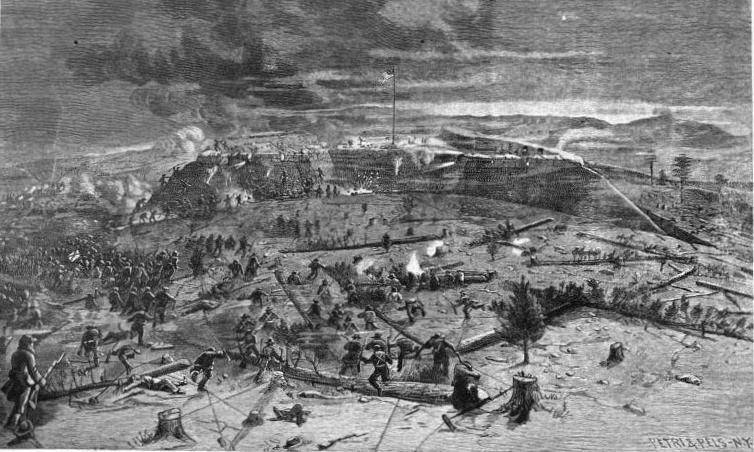 In 1863 Nov. 29 fell on a Sunday instead of a Friday, but it was a pretty black day nonetheless, at least for the hapless Rebel soldiers who launched a disastrous assault against Fort Sanders at Knoxville. Those twenty bloody minutes ended Longstreet’s effort to re-take the city for the Confederacy, following its occupation by Burnside that September. The attack on Ft. Sanders was neither a particularly big battle as far as Civil War engagements went nor as consequential as what was going on down in Chattanooga. But it’s a pretty big deal for history buffs here in my neck of the woods, so here’s another anniversary link-fest for you. The East Tennessee Historical Society has some nifty Civil War displays of their own, and they’re commemorating the Ft. Sanders anniversary with a free admission day. Need to read up on the contest for control of Knoxville? I recommend The Knoxville Campaign by Earl Hess, Lincolnites and Rebels by Robert Tracy McKenzie, and Divided Loyalties by Digby Gordon Seymour. For additional background, try Noel Fisher’s War at Every Door and W. Todd Groce’s Mountain Rebels. Last year we paid a virtual visit to the site of the battle. The fort is long gone, but there are still a few landmarks from the Knoxville Campaign around. Click here to book a guided tour, or stop by Longstreet’s headquarters and the Mabry-Hazen House. Watch the battle reenacted at a replicated Ft. Sanders, constructed for a documentary produced in conjunction with the McClung Museum’s exhibit. Does nobody want to be a Confederate anymore? When asked which side they would’ve taken in the Civil War, only 10% of Americans responding to a new poll picked the Confederacy. That’s less than the number of respondents who said they would’ve tried to be neutral. Republicans were more likely to say they would have supported the South, but would-be Confederates still made up a mere 20% of GOP respondents. I don’t know about you folks, but I would’ve expected the percentages to be higher, especially among those on the Right. Twentieth-century American history has never been my thing, but I’ll admit that the flurry of assassination anniversary coverage over the past couple of weeks has piqued my interest. I’ve never put much stock in conspiracy theories, and what I’ve read of the events in Dallas has only reinforced my conviction that Kennedy’s death was the work of one man. Most Americans disagree, although belief in a conspiracy seems to be declining. I was curious to see what my students’ opinions were, so on Wednesday I conducted an informal poll in one of my classes. 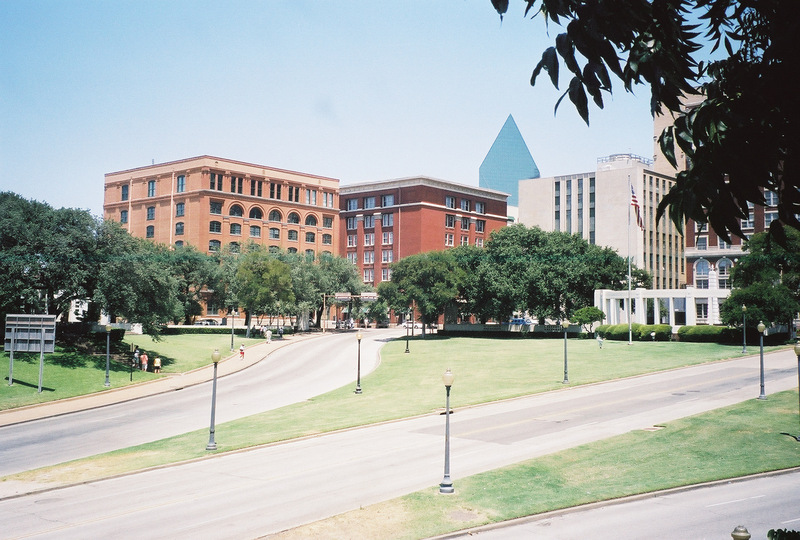 Out of about twenty people, only three believed Oswald carried out the assassination himself. The rest thought there was some sort of conspiracy, except for two or three students who abstained because they weren’t sure one way or the other. 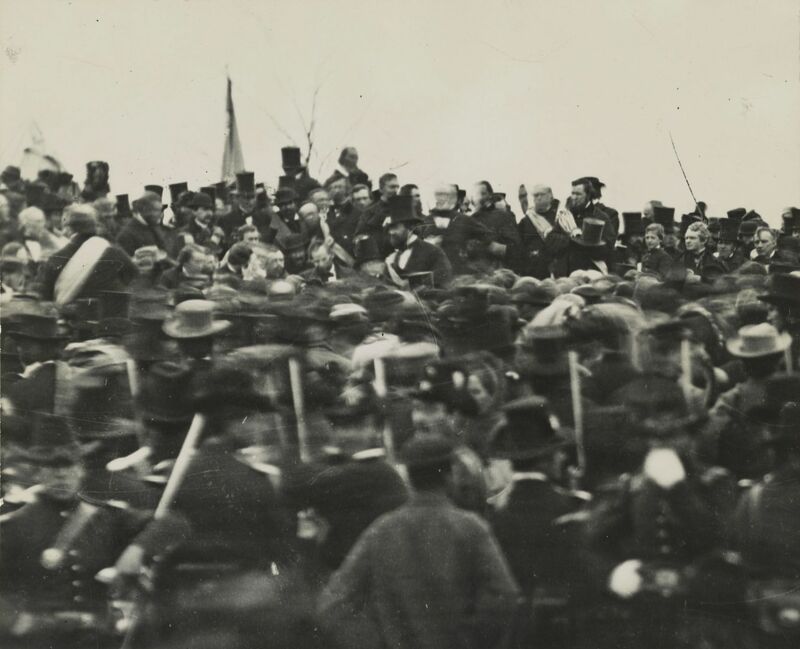 Of course, this week marks the sesquicentennial of the Gettysburg Address, too. Bill Mauldin tied Lincolnian imagery to JFK’s death in a famous 1963 cartoon, but I’m not aware of any major attempts to connect this year’s dual anniversaries. That’s a little surprising to me, given that both presidents met the same fate. Anyway, here are a few links I found interesting. Finally, Oswald’s wedding ring fetched $108,000 at auction last month. Accompanying the ring was a note from his widow, reading in part, “At this time of my life I don’t wish to have Lee’s ring in my possession because symbolicly [sic] I want to let go of my past that is connecting with November 22, 1963.” Since she’s spent five decades with the memory of that day—on which she found herself in a strange country, a frightened young mother of two children, and married to an abusive man who had just been accused of the crime of the century—I think she deserves some peace and quiet. The East Tennessee History Center has launched a new exhibit on early Knoxville television in conjunction with the Tennessee Archive of Moving Image and Sound. One of the artifacts on display is the original backdrop from Cas Walker’s TV show. Doing the history of Knoxville TV without Cas Walker—self-made grocery magnate, broadcaster, populist, politician, and one-man Knoxville institution, referred to by one writer as “equal parts P.T. Barnum and Huey P. Long”—would be like doing the Jacksonian era without Old Hickory. Born in Sevier County in 1902, Orton Caswell Walker spent his early years working jobs at mills and coal mines in North Carolina and Kentucky before opening his first Knoxville grocery store in 1924 with $850 he had managed to save. In a few decades, he turned this initial investment into a multi-million-dollar chain of establishments in three states. Walker owed his success to a knack for self-promotion. No advertising gimmick was too outrageous, whether it involved dropping coupons from airplanes, tossing chickens off the roof of his store, or burying a volunteer stuntman alive. His image as an unpolished, uncultivated hick who enjoyed a good raccoon hunt served him well with working-class customers. Walker leveraged his popularity into a role in local politics, winning a seat on the Knoxville City Council in 1941 and a short term (ending in a recall election) as the city’s mayor in 1946. In office and in his self-published newspaper he railed against higher taxes, the consolidation of Knoxville’s city and county governments, flouridation of the municipal water supply, and the local elites who considered him a backwards embarrassment. Reveling in his persona as a rough-and-tumble champion of the little guy, he denounced his opponents in what he called the “silk-stocking crowd.” A demagogue he may have been, but he endeared himself to the same working-class voters who had patronized his grocery stores. The highlight of Walker’s political career came in 1956, when a dispute with J.S. Cooper during a city council meeting erupted into a full-fledged fistfight. I consider this the most delightful moment in Knoxville’s political history since the Sevier-Jackson showdown of 1803, and thankfully a newspaper photographer was on hand to preserve it for the ages. The image appeared in Life magazine, putting Knoxville’s contentious local politics in the national consciousness. The centerpiece of Walker’s promotional efforts was his self-hosted TV program, the Cas Walker Farm and Home Hour, which ran for three decades and offered him a platform to plug his stores, showcase regional musicians, and pontificate. From a purely historical standpoint, the show is most notable for giving a young Dolly Parton one of her first breaks in the entertainment business. But for sheer entertainment value, none of the musical acts could top Cas himself, holding forth in his own rambling and occasionally profane style. You can enjoy more of his televised antics here; his political career is discussed in detail in Dr. William Bruce Wheeler’s history of Knoxville. What exactly is the SCV’s problem with a new Olustee monument? My opinion has always been that older monuments have intrinsic historical and artistic value, but when it comes to setting up new ones, I’d rather see these groups spend their money on something else, like buying endangered battlefield land, conserving artifacts, and so on. I’m not opposed to new battlefield monuments on principle; I just don’t see the need to make sure every historical constituency involved with a site is represented with a slab of granite. But having said all that, I don’t really get the SCV’s logic here. Indeed, I’m not sure there’s any logic to be had. There are Union monuments on countless battlefields across the South, just as there are Confederate monuments at Gettysburg and Antietam. If this new monument is going to disrupt the site’s historic integrity, then fine, but I haven’t seen anybody make that case. What the heck is the issue? If you’re into NPS history, you’re going to love this website. Tons of old handbooks, official reports, brochures, you name it. Here’s some more info on the project.